Classicism and modernity meet at the Hotel Cerretani Firenze MGallery by Sofitel. Experience a stay in a historical building in the center of Florence, surrounded by art and history. 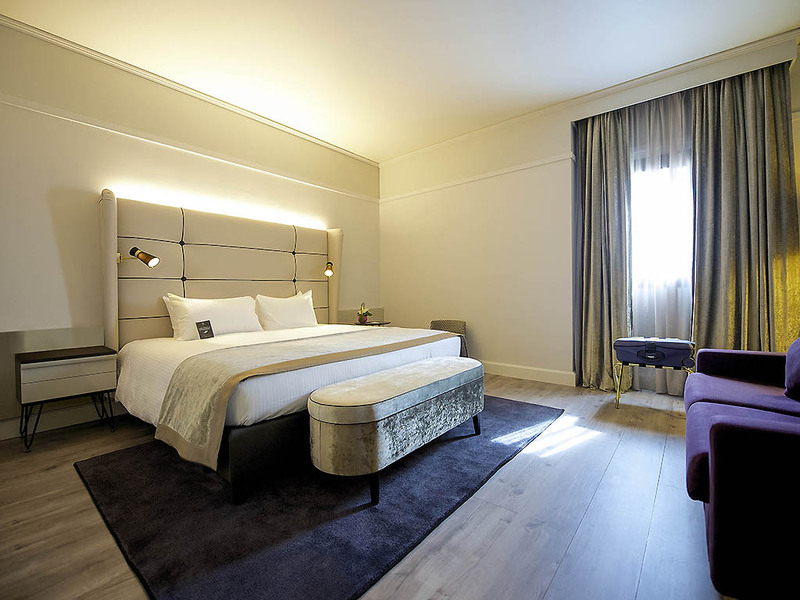 The modern and elegant decor of this boutique hotel in Florence will ensure you enjoy an exceptional stay, while outside you can immerse yourself in the history of the city, strolling among the iconic squares and monuments of the Tuscan capital. The elegant, boutique Hotel Cerretani Firenze MGallery by Sofitel is right in the city center, 328 yards from the Santa Maria Novella train station and the San Giovanni Baptistery. Piazza del Duomo and the Basilica are only a short, enjoyable walk away.